The Samyam Saptah is a collective attempt at concentrated and uninterrupted ‘Sadhana’ and ‘Satsang’ for one week, which may serve as a model and give a taste of a dedicated life, to be continued to whatever degree possible by each one individually throughout the year. To achieve this ideal, Sanyam in one’s life is imperative. 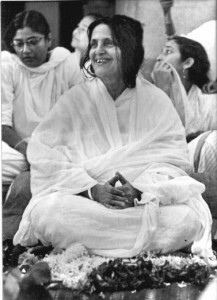 Thus under Shree Shree Ma Anandamayi’s personal guidance evolved the function organised by Shree Shree Anandamayi Sangha — The Sanyam Mahavrata. The Sanyam Mahavrata is cosmopolitan in nature and maintains the highest ideals of all religions. It is open to all who wish to participate in it irrespective of their religion, caste, creed or colour. Whether they are young or old, rich or poor everyone can be a part of it. It is an extremely popular function with Indians and foreigners alike and is successful from an intellectual, cultural, religious and spiritual point of view. The goal of this Mahavrata is the “Realisation of the Self.” It is a combined effort of all the sadhaks towards the One. Individually one may find the path too difficult. However by a combined effort all the energies are motivated and sublimated towards the One end. The weak willed are inspired by the stronger. The Vrata provides a forum of speakers representing different schools of thought. Each speaker makes his contributions in his own way and with consummate skill. They are all the more effective as the Mahatmas are themselves travellers towards the ‘Mahan’ (Great). Currently, Ma is in a formless state with the conclusion of her Divine leela. This creates a screen for a common man to have Her physical divine darshan. 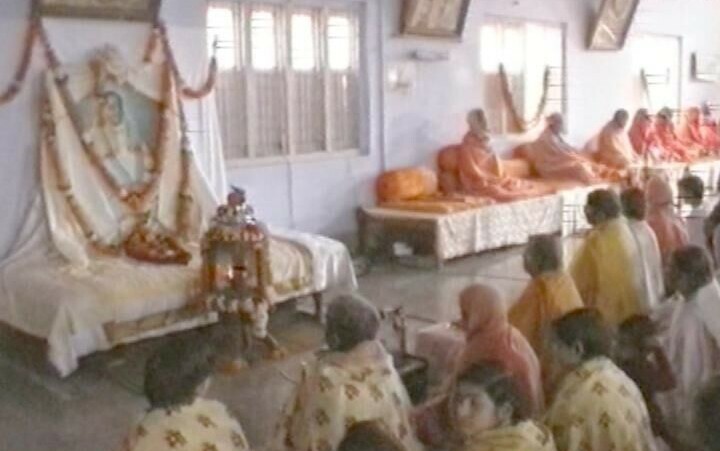 But everybody feels Ma all around with her boundless kripa, merciful attention to all our activities and programs, particularly programs like Sanyam Saptah and other special programs. Devotees can really feel it. With the infinite inspiration and blessings of Shree Shree Ma Anandamayi, the Sangha has been carrying out all the programs efficiently. Great traditions of Ma, particularly through programs like Sanyam are still preserved. Devotees are also giving their best in co-operation and support. It is a matter of great rejoice that we are carrying on with this program successfully for the last more than 60 years. 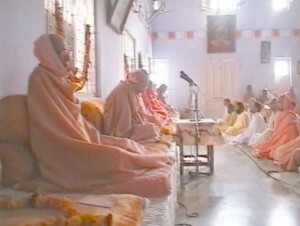 Now Sanyam is held every year at Kankhal (Hardwar) Ashram, adjacent to the Ananda Jyoti Peetham, the holiest shrine of Chetan Samadhi of Shree Shree Ma, after Her physical departure in 1982 from this mundane world. Let us pray to Ma and seek her blessings so that we can properly maintain this parampara, and hold the Sanyam Saptahs in the coming years. We trust devotees support and continuous faith shall always prevail. Let one and all participate in this rare but great program every year voluntarily with utmost zeal. Let all the devotees come and pray at the lotus feet of Ma at the Ananda Jyoti Peetham on the concluding day of the Sanyam and be blessed and happy ! Let us not lose this rare opportunity of achieving the objectives of Sanyam i.e. “knowing one’s self and attainment of one’s self”. Let that be seriously and consciously felt by all of us. These are our submissions and sincere invitations to all the bratis and devotees of Shree Shree Anandamayi Sangha. Jai Ma! On this holy occasion of the Sanyam Saptah Mahotsav, I salute at the lotus feet of Ma and that small Divine boy, who gave us the Divine Mantra “Hey Pita, Hey Hita, Hey Brahmatatvam, Hey Brahmabhutam”. 5.30 A.M. – 6.00 A.M.
6.00 A.M. – 7.30 A.M.
7.30 A. M. – 7.45 A. M.
7.45 A.M. – 7.55 A.M.
7.55 A.M. – 8.00 A.M. Preparation for meditation. 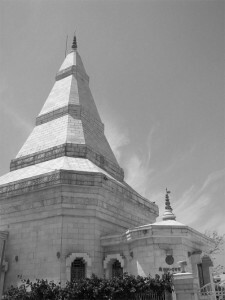 (The gate of the mandap to be closed at 8.00 A.M.
8.00 A.M. – 9.00 A.M. Meditation and Japa. (No one should move from his asana during this period. In case of unavoidable necessity, however, one may leave the mandap carefully and in silence). 9.00 A.M. – 9.05 A.M.
9.05 A.M. – 10.00 AM. 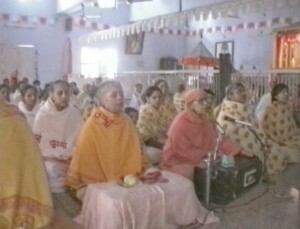 Recitation of the Gita, Chandi and Upanishads in chorus. 10.00 A.M.- 11. 15 A.M.
1.00 P.M. – 2.45 P.M.
2.45 P.M. – 2.55 P.M.
2.55 P.M. – 3.00 P.M. Preparation for meditation (The gate of the Mandap to be closed at 3.00 P.M. Meditation and Japa in Mother’s presence. (No one should move from his asana during this period. 4.05 P.M. – 5.00 P.M. Personal Practices .Japa, Puja, Sandhya etc. 7.00 P.M. – 7.30 P.M.
7.30 P.M. – 8.45 P.M.
9.00 P.M. – 9.30 P.M.
9.30 P.M. – 10.00 P.M.
11.45 P.M. – 12.15 A.M.
(not imperative, but may as far as possible be performed individually, at any convenient place).